This blog is about sharing mindful experiences. 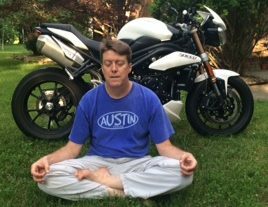 I chose motorcycles as the medium to experience mindfulness, but it could have been hiking, camping, Tai Chi, rock climbing, mountain biking or any other activity that puts you in a “flow” experience. I hope everyone enjoys these blogs. Send me comments and your own experiences.